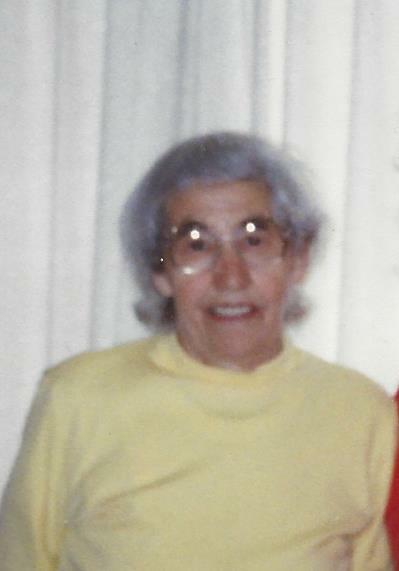 Anna (Tarnawski) Kowalski, 101, of Allentown, passed away March 19, 2019. She was the loving wife of the late Jan Kowalski. Born in Poland, she was the daughter of the late Mikola and Tekla (Solan) Tarnawski. She was a member of St. Mary’s Ukrainian Orthodox Church. Survivors: son- Myron Kowalski of Easton and daughter- Natalka Kowalski of Benbrook, TX. She was predeceased by her sisters- Mary and Eva. A viewing will be held Saturday, March 30th 9-10AM with a Funeral Service at 10AM all in St. Mary’s Ukrainian Orthodox Church 1031 Fullerton Ave Allentown, PA 18102. Burial to follow in parish cemetery. Arrangements entrusted to Kohut Funeral Home, Inc.
Anna (Turoscy) Kotowski, 89, passed away peacefully on October 20, 2018 surrounded by her loving family. She was the wife of the late Valentine J. Kotowski Jr. Born in Allentown, she was the daughter of the late Michael and Anna (Kondravy) Turoscy. Anna devoted majority of her life caring for her husband, mother and special needs sister. 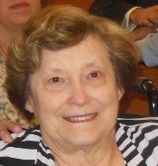 She was an avid reader, loved crossword puzzles and previously taking monthly trips with her friends to Atlantic City. Anna was a past member of St. John the Baptist Slovak Catholic Church in Allentown and attended St. Matthews Catholic Church in East Stroudsburg with her family. She will be deeply missed by her family. Survivors: daughter- Valorie and husband Daryl Thundercloud; grandchildren- Jennifer and Joshua Thundercloud; great grandson- Xavier Esteves; sister- Helen Engelman and niece- Barbara Engleman. She was predeceased by her sister- Dorothy Turoscy and nephew- Michael Engleman. Services will be Private at the convenience of the family care of Kohut Funeral Home, Inc.
Nancy P. Kuyan, 63, of Allentown, passed away peacefully on Wednesday September 5, 2018. Born in Allentown, Nancy was the daughter of the late Frank J. and Mary (Staivecki) Kuyan. She was a member of St. John the Baptist Slovak Catholic Church in Allentown. Nancy worked as a Human Resources Administrator for the Private Industry Council of the Lehigh Valley for 35 years. She was a graduate from Dieruff High School, and then continued her education at Lehigh Carbon Community College where she received an associates degree. Nancy was an avid traveler who certainly lived life to the fullest. The Caribbean and Aruba were her two favorite places to travel. Nancy loved animals. There wasn't a time where she didn't own a cat. She loved cooking and baking, and served as a caretaker for her family and friends whenever needed. Nancy enjoyed her friendships with all her co workers. Nancy is survived by her brother Frank and his wife Annette of Bethlehem, and her sister Virginia Kuyan and her companion Sam Canone of Allentown. Services are private and have been entrusted to the Kohut Funeral Home, Allentown Pa.
Simon Kadingo, Jr., 77, of Whitehall, passed away August 8, 2018. Born in Pottsville, he was the son of the late Simon and Anna (Naradko) Kadingo. Simon retired from Mack Trucks and was a member of the UAW 677 Mack Retirees. He also volunteered for Meals on Wheels. Simon attended church at St. Andrews Lutheran Church. Children- Bryan Kadingo, Gail Lutz and Keith Kadingo; 6 grandchildren; companion- Ruth Benner. A viewing will be held Monday, August 13th 3-5PM with a service to follow at 5PM in Kohut Funeral Home, Inc. 950 N. Front St. Allentown, PA 18102. In lieu of flowers, contributions can be made in Simon’s memory to a charity of one’s choice. Rosemarie (Damweber) Kasprenski, 89, of Whitehall, passed away July 20, 2018. She and her husband of 61 years, the late Dr. Matthew A. Kasprenski, are once again holding hands. As they always said, they are “Together Forever, Forever Together.” Born in Allentown, she was the daughter of the late Louis and Josephine (Goldschmidt) Damweber. Rosemarie was a graduate of Allentown Central Catholic High School and obtained her Associates degree in Nursing from Hahnemann Nursing College. She began her career as an Operating Room Nurse in Philadelphia and then worked with her husband for many years in his Family Practice. She was a member of the Cathedral of St. Catherine of Siena Catholic Church. She also was a member of the Ladies Auxiliary of the PA Medical Society, the Reunion Committee for Central Catholic Class of 1947, the Allentown Symphony Ball Committee and one of the founding organizers for the Tower Ball for Sacred Heart Hospital. She was a master in the kitchen, and loved playing cards with her daughters and granddaughters. But her greatest joy in life were the everyday and holiday family gatherings. Rosemarie was her family’s greatest champion. Survivors: Children- Dr. Matthew L. Kasprenski and wife Rebecca of Bethlehem; Maria Zator and husband Atty. Joseph A. of Orefield; Lisa Turrell and husband Douglas W. of Orefield; Michael Kasprenski and wife Sharon of Miami; Kara Lewis and husband Christopher of Doylestown; Dr. Krista Kasprenski and fiancé Brad Ruscio of Chalfont; Grandchildren- Joey, Matty, Zachary, Zandy, Marissa, Kaitlyn, Abby-Jo, Will, Jake, Dougie, Livy, Mikey, Loewe, Tommy, Chase; Great Grandchildren- Benjamin, Sachin, James, Oliver, and Evelynne Rose. She was predeceased by her brother- William Damweber. A viewing will be held on Wednesday, July 25th 9-10:15AM with Mass of Christian Burial following at 10:30AM, all to be held in the Cathedral of St. Catherine of Siena Catholic Church 1825 W. Turner St. Allentown. Burial to follow in Resurrection Cemetery, Allentown. Arrangements entrusted to Kohut Funeral Home, Inc. In lieu of flowers contributions can be made in Rosemarie’s memory to the Cathedral of St. Catherine of Siena Catholic Church. Michael Kahr, 38, passed away suddenly on April 25, 2018 at his residence in Northampton. Born in Allentown, he was a son of Richard and Susan (Dorsey) Kahr. He was the devoted husband of Erica (Drost) Kahr. They would have been married for 12 years in May. 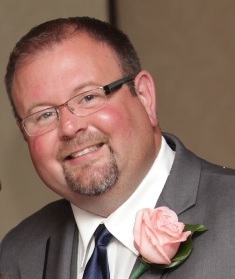 He was a realtor for Assist 2 Sell in Northampton and a part-time ski pro at Buckman’s Ski Shop. Mike was a member of Saint Elizabeth of Hungary Roman Catholic Church, Whitehall. He was a graduate of Allentown Central Catholic High School in 1998. Mike was an avid skier, he was actively involved in the Blue Mountain Race Association, BMR, where Mike and his family spent most of the winter months skiing, racing and having fun with their winter family. One of his favorite things to do was to teach their children, Hailey and Ryan, how to ski and golf. Family time was important to Mike, therefore he always focused on activities that the family could experience together. This March, with the help of our BMR family, Mike was able to take the kids out west for the first time to ski in some fresh powder. In 2010, Mike, inspired by Gram D, accomplished one of his dreams of obtaining his helicopter’s pilot license and taught for several years at the Ace Pilot school. Mike was one of the most patient and caring people making him a great husband, father and friend. Due to those traits his wife and children were always surrounded by an army of great support. He was given the honor of being the godfather of his brother’s son Joshua, and his friend’s children, Jackson, Brooklynn, Kenleigh and Kherington. Mike enjoyed cooking, entertaining, spending quality time with his family and extensive group of friends. If there was a party, tailgate, planning a trip to the Outer Banks or Sunday dinner Mike was involved providing a good time. Mike made sure everyone was welcome at the Kahr house to eat, hang out, swim, or to turn our basement into a ski shop or the garage into a brewery. The family invites all of our friends and family to join us at the celebration of Mike’s life and encourages everyone to spend the time with us to eat, drink and remember all the memories that Mike helped create for us. Survivors: Wife, Erica; Daughter, Hailey and Son, Ryan. Dogs, Onyx and Kiley. Parents, Brother, Jason (Audra), Northampton, PA; Sister, Alyssa, Whitehall, PA; nephew, Joshua and niece, Sophia and many loving extended family members. In-laws, William & Patricia Drost, Whitehall, PA; sister-in-law, Lori Drost (Eric Samley), Coplay, PA. Godparents, Richard & Diana Sweeney. He was predeceased by grandparents Frank and Pauline Kahr and James Dorsey and Dorothy Dorsey Dwyer. Services: Mass of Christian Burial, 1:00 PM Sat., May 5, 2018 at Saint Elizabeth of Hungary Roman Catholic Church, 618 Fullerton Ave., Whitehall, PA with Father Pendzick presiding. Calling Hours: 5-8 PM, Fri., May 4, 2018 and 10:00AM-12:00 PM, Sat., May 5th at Kohut Funeral Home, 950 North Front St. Allentown, PA. Interment will follow the Mass at Our Lady of Hungary cemetery. Contributions: In lieu of flowers, donations may be made to the children’s 529 education fund (College America - list children’s name in memo line), ℅ Kohut Funeral Home or the Multiple Sclerosis Society, Dottie & Sue’s Wobbly Wheelers, www.nationalmssociety.org. Rudi E. Klemp, 86, formerly of Whitehall, passed away January 4, 2018 under hospice care at Lehigh Valley Hospital Muhlenberg. 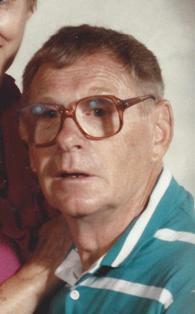 He was the loving husband of 34 years to the late Rita (Trebo) Klemp. Rudi was born in Germany on March 18, 1931 to the late Wilhelm and Lydia (Mielke) Klemp. He was a member of the Latvia Lutheran Church of Newtown Square. Rudi enjoyed gardening and taking Rita shopping. Survivors: step son- Jerry A. Dzerens husband of Nancy J. of Northampton; step granddaughter- Denise M. Teaman wife of Sean D. Teaman of Lancaster; step grandson- Jerry A. Dzerens II husband of Juliana H. of Long Beach, NY; step great grandsons- Cole P. and Spencer W. Teaman of Lancaster and Finn A. Dzerens of Long Beach, NY; sister- Herta Lachmann of Bethlehem; many nieces and nephews. A viewing will be held on Wednesday, January 10th 9:30-10:30AM with a service to follow at 10:30 all in Kohut Funeral Home, Inc. 950 N. Front St. Allentown, PA 18102. Burial to follow in Grandview Cemetery, Allentown. Thomas Kristie, 96, of Whitehall, passed away August 30, 2017. He was the loving husband of 67 years to the late Marie J. (Horwath) Kristie. Born in Hazelton, he was the son of the late Joseph and Anna (Onnifrey) Kristie. He served in the U.S. Army during WWII. Thomas was a member of St. Michael the Archangel Byzantine Catholic Church. 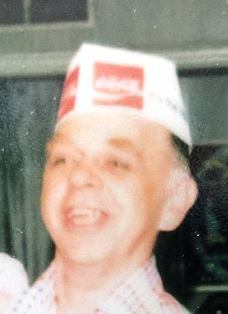 He was Co-Owner, with his wife, of Tommy’s Luncheonette at 8th & Gordon Sts in Allentown, for over 53 years. Survivors: Sons- Dennis and wife Jan of Allentown, Larry and wife Kim of Allentown, Tim and wife Rose of New Tripoli; 9 Grandchildren; 11 Great Grandchildren. He was predeceased by 8 siblings. 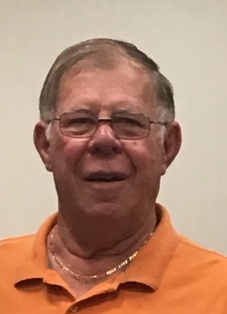 A viewing will be held Thursday, Sept 7th 9:30-11AM with a Service to follow at 11AM all in Kohut Funeral Home, Inc. 950 N. Front St. Allentown, PA 18102. Burial to follow in Woodlawn Memorial Park, Allentown. In lieu of flowers, contributions can be made in Thomas’s memory to Lehigh County Humane Society 640 Dixon St. Allentown, PA 18103.